SonexAus – Oshkosh 2011 After discussions at the recent Yarrawonga Flyin, I know that a few of our Oz Sonex crew are planning to attend Airventure 2011, as I am. This will be my second visit to the annual aviation Mecca and ancestral home of all things Sonex! So I thought it might be a good idea to get a page up so that we can share some info. 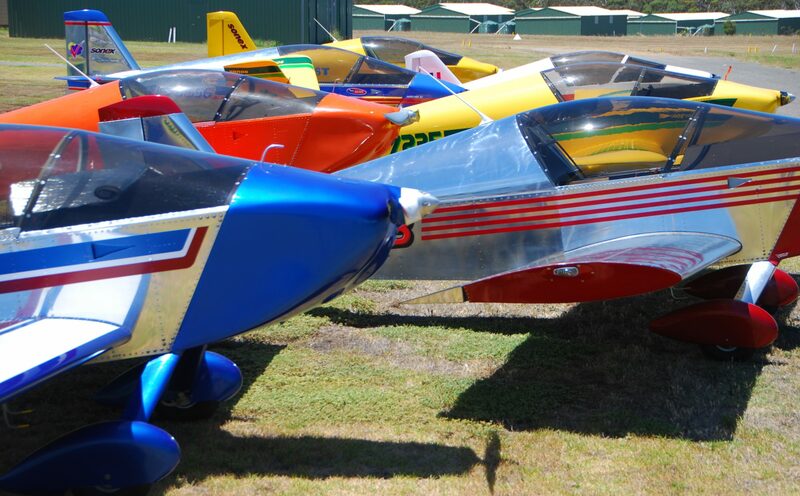 · Sonex Factory Open Day and Homecoming – Sunday July 23rd . The factory is on the Eastern side of the field. Airventure is on the Western side so keep that in mind when working out how to get there. In 2007 I think you called the factory and they sent a van over to the Sonex booth (not yet open) to pick you up. · Sonex Builder’s Party – Night of Monday July 24th, usually coincides with John’s birthday. Was a great night in 2007. It gets bigger and better each year, 2011 should be a ripper. · Take an unlocked GSM phone and buy a prepaid SIM there, much cheaper. I will post my US number here, if anyone wants to catch up or needs a lift to the Open house etc. · I am departing with two pilot friends from Sydney (QF11-A380 at 13:05 via LAX AA2216 at 13:25) on the Thursday 21st July and will be in Chicago (staying at Allegro Hotel) the nights of 21st and Friday 22nd. · We will be hiring a car in Chicago and driving to Oshkosh on the morning of Saturday 23rd and will be staying at the Oshkosh Uni dorms (Taylor Hall) through to the morning of Sunday 31st. · Driving back to Chicago on the 31st. On fly to Washington (staying at Holiday Inn – Central White House) for a few days of Smithsonian museum visiting, there are two air and space museums in Washington. · Wednesday 3rd October depart Washington back to Sydney, arriving back in Friday 5th August. Takes three days to get home due the date line. If you are going in 2011, please fee free to put your details here and we can coordinate a catch up for a meal, car pool etc. I wil be attending the Sonex events and will probably have a seat available in the car if anyone is looking for a ride. Hello Peter and Keith and anybody else going to Oshkosh. My first and possibly only trip to Oshkosh will be this year. I will be travelling with Avtours who organise a charter flight from Los Angeles to land at Wittman Field. We depart Sydney on Saturday 23rd July and will arrive in Oshkosh "the same day" at 5.30pm local time. I am staying at the University and I think it will be in Taylor Hall. We depart Oshkosh on the morning of the next Sunday. I am a complete newcomer to the U.S.A. and will be traveling alone, although as part of the tour group. So I will welcome some help from those with more experience. I hope to catch up with you to attend the Sonex events and will be looking for a ride to get there. The travel by car sounds really good and I wish I could go with you. If I ever get another chance to go I will be looking at private travel to other places but this time it is only for the event. Anyway I am looking forward to it and I would welcome any messages by email.